The government has made amendments to the eligibility criteria for receiving the Bharat Ratna. The Bharat Ratna can now be awarded in recognition of exceptional service/performance of the highest order "in any field of human endeavour". 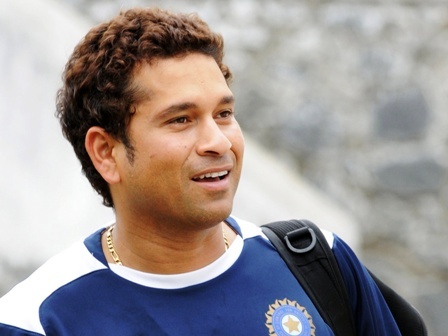 Tendulkar was awarded the Padma Vibhushan, India's second-highest civilian award, in 2008. Now he is also eligible for the Bharat Ratna. There have been 41 recipients of the Bharat Ratna, including two foreigners: Khan Abdul Gaffar Khan, the Afghan who fought for India's Independence in 1947, and Nelson Mandela of South Africa. The last recipient was Pandit Bhimsen Joshi, in 2008. Tendulkar, 38, holds the world record for most runs (15183 in Tests and 18,111 in one-dayers) and most centuries (51 in Tests and 48 in one-dayers). Sachin needs one more century to become the first batsman in the history to score 100 international centuries. 0 Response to "Tendulkar now eligible for Bharat Ratna "